Professor & Zoologist Wang Xiaoming from East China Normal University (ECNU), who ever affirmed the sub- species of Dwarf Blue Sheep through scientific research, told us recently that "Mt. Helan is the dividing line of threedeserts to the north of Ningxia province (Tengger desert, Mu Us desert and Ulan Buhe desert). Though connected with Tibetan Plateau, Mongolian Plateau and Northeast China, Mt. Helan is already an isolated "forest island". Blue Sheep on Mt. Helan can be considered as an isolated population group because Mt. Helan is the east edge of Blue Sheep distribution. The unique geographic characteristics of Mt. Helan may be an important factor which makes Blue Sheep here an independent sub-species". "Through many years' field observations, the horns of Blue Sheep on Mt. Helan are relatively shorter with a bigger curve. The interval between horn tips is under 55 centimeters while the blue sheep in other areas usually have an interval of above 65 centimeters; The horns of Mt. Helan blue sheep usually form a sharp angle while the horns of blue sheep in other areas an obtuse angle." "the classification and systematic evolution research can be done through molecule biology technology". Hunting quotas in this area is very limited. 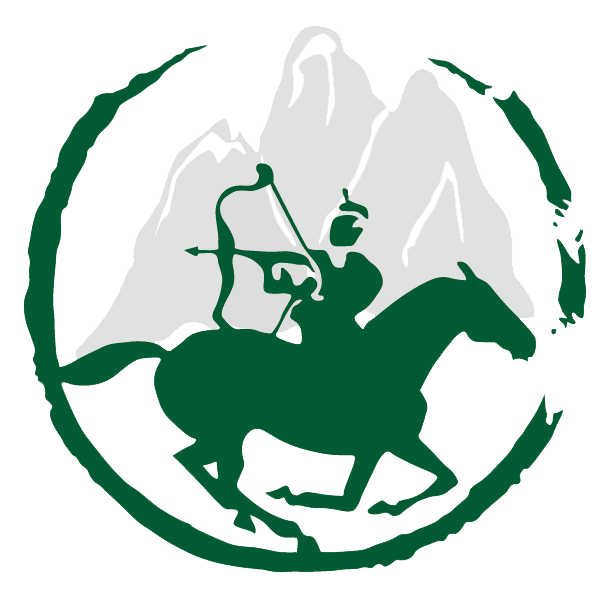 China Adventure Travel (Zheng-an) is the only authorized outfitter to promote this area, in cooperation with local government and wildlife authority. 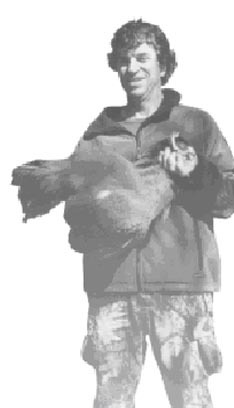 Archery Ovis World Slam Award Winner said: Blue-eared Pheasant (Crossoptilon auritum) $400 The very first morning a ram presented himself high above us on a skylined ridge. The team thought I had missed but arrows often keep going. Five hour later a great, heavy horned old ram was on the rut trail, just above us and we collected a second trophy sealing my World Slam for sure. On our hunt, and with fresh snow, we tracked a Alashan red deer . 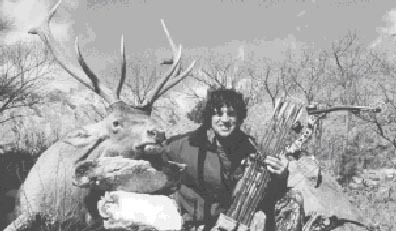 almost all day and found a great trophy bullOne morning we climbed several thousand feet and hunted Blue Eared pheasants under the ancient remnants of the Great Wall of China. Finally one evening we decided to hunt very old heavily broomed monarch that probably would not have survived the tough winter and heavy snow conditions of the Helans. This was a special hunt for me, and an education and introductory lesson for several locals, including top government officials who were present to see the hunt success we enyoyed with modern (PSE) archery equipment. It was made possible because of the conservation efforts. Season: Feb. 20- April 10, Aug. 20 - December 15.